We are glad to render the market with a wide selection of Beamer Neo LED Lights at reasonable prices. Beamer Neo LED Lights are versatile luminaries for industrial lighting, façade lighting, construction sites and much more. 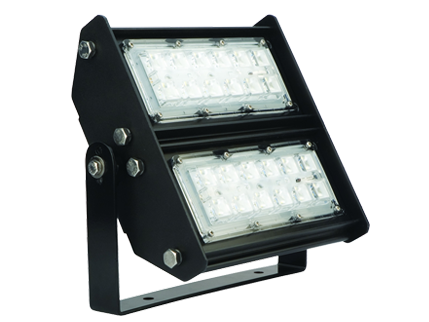 The Beamer offers beautiful, long lasting, white light to your lighting needs at industrial workshops, high mast, facade lighting, security lighting, construction sets, cell tower sites, advertising, billboards etc. These light are largely in demand because of their superior lighting capacity and energy efficiency. They consume lesser energy than fluorescent beamers. We procure Beamer Neo LED Lights from reputed manufacturers and vendors and maintain a large stock for the same. Owing to our large stock of the Beamer Neo LED Lights and wide distribution network, we can make available these lights anywhere in UAE even on a short notice. Feel free to contact us for placing your order for Beamer Neo LED Lights. Industrial Workshops , High Mast, Facade Lighting, Security Lighting, Construction Sets, Cell Tower sites, Advertising, Billboards.